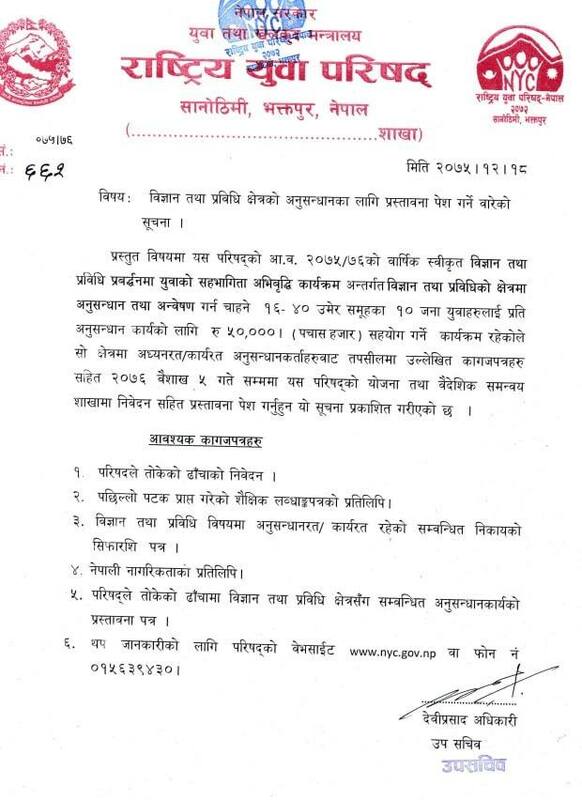 National Youth Council, Sanothimi, Bhaktapur, has announced research grant for 10 youths. The research grant is exclusive to the youths who are interested in conducting research related to topics of Science and Technology. The amount given for the research will be NRs. 50,000 each. View the official notice below, followed by the structure of the proposal below the notice.